A surfer who lost his board and was stranded in dangerous surf was rescued Monday afternoon. A man and his dog were rescued Sunday by San Francisco Fire Department and San Francisco International Airport personnel. A man was rescued Thursday from the top of a San Francisco Municipal Railway train, fire officials said. Crews extinguished a two-alarm fire that started at a home in South San Jose on Monday evening, according to a fire dispatcher. A person in the Bay is fine after fire officials responded to a water rescue near San Francisco's Pier 29 Monday afternoon. A man was rescued from the water near the Ferry Building in San Francisco Thursday morning, fire officials said. A dam is stable following a warning Thursday afternoon that it was ready to fail and flood properties downstream of a reservoir. About 25 protesters demonstrated at an Emeryville business without property damage, injuries or arrests on Saturday. The U.S. Coast Guard rescued a fisherman who was washed out to sea at a beach in Sonoma County Saturday morning. Two people died in an apparent drowning in Oakland's Lake Merritt this morning, police said. A female hiker was hoisted to safety Saturday afternoon by a helicopter crew with the California Highway Patrol after she suffered major injuries. Two boaters were rescued after being stranded in the water near Richmond on Tuesday evening. 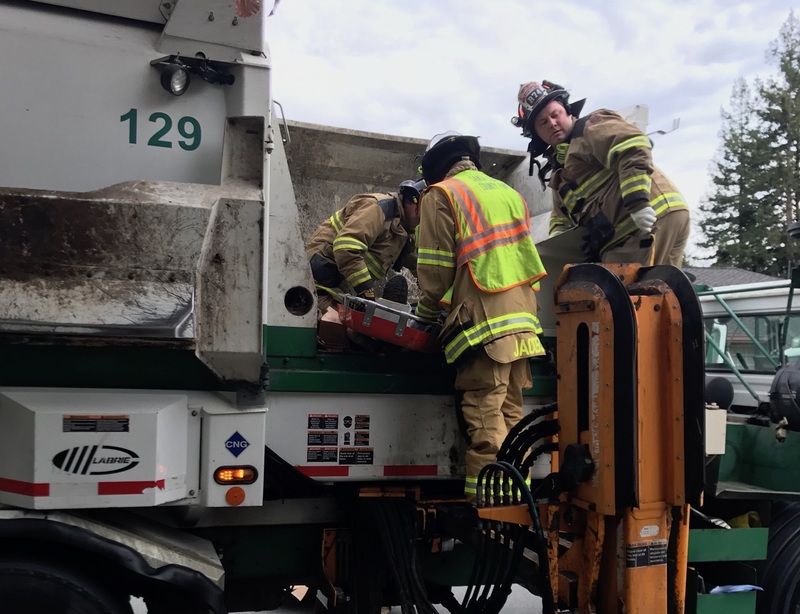 A man was rescued from the compactor of a garbage truck Wednesday morning in Los Altos after becoming stuck inside. An injured mountain biker was rescued Saturday from Mt. Diablo in unincorporated Contra Costa County. One swimmer was rescued Saturday morning from San Francisco's China Beach and another from some nearby rocks. A child was rescued from a burning home early Saturday morning in East Oakland. A San Jose man is in serious condition following a rattlesnake bite Monday afternoon east of Fremont on Mission Peak. An elderly person was rescued from a fire at a building in San Francisco's Chinatown neighborhood Tuesday morning. Four kayakers were rescued from the waters near Pier 54 in San Francisco this afternoon.